Test Systems : Test Systems for Automobiles : Internal Pressure Test Systems | Saginomiya Seisakusho, Inc. 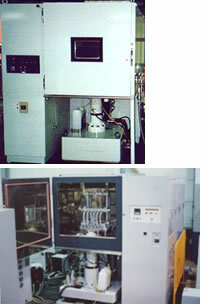 There are several types of hose impulse test systems. This type performs an endurance test applying both internal high pressure and vibration. There is also impulse tester whose purpose is to examine hose joints.